Thai New Year is from 13th – 15th April, and inspired by MasterChef and the impending Thai New Year celebrations, Tilda has put together a simple royal banquet that you can easily recreate at home to help celebrate the Songkran festival this April. Steeped in thousands of years of tradition, Songkran is an opportunity for Thai families and friends to get together and make resolutions for the year ahead. Many Thai people mark the coming new year by throwing water on their family and friends, a Buddhist sign of respect. To celebrate Thai New Year without getting wet, Tilda has devised a delicious Thai inspired menu which balances all of the key elements of sweet, sour, hot and salt. 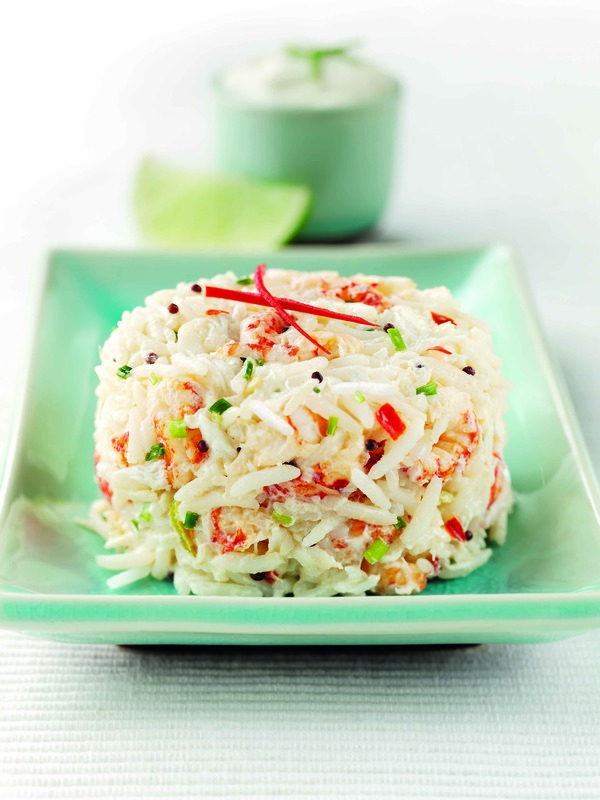 Try the Thai Crab & Crayfish Rice Timbales served on a bed of salad or the Thai Vegetable Stir Fry with Coriander Rice. Grease 4 x 175g ramekins or dariole moulds. Cook rice according to the pack, cool slightly. Stir in the crabmeat, crayfish, chives, lime zest and juice from half the lime. Chill until needed. Press into the moulds then up-turn onto plates and serve with salad and lime wedges. Heat the oil in a large frying pan and fry the mushrooms, soya beans, corn and pepper for 3-4 minutes. Add the curry paste and fry for 2-3 minutes. Stir in the pak choi and fry for 2 minutes. Add the coconut cream and fish sauce, simmer for 1-2 minutes. Meanwhile, cook the rice according to the pack and garnish with the sesame seeds if using. Serve with the vegetable stir fry. 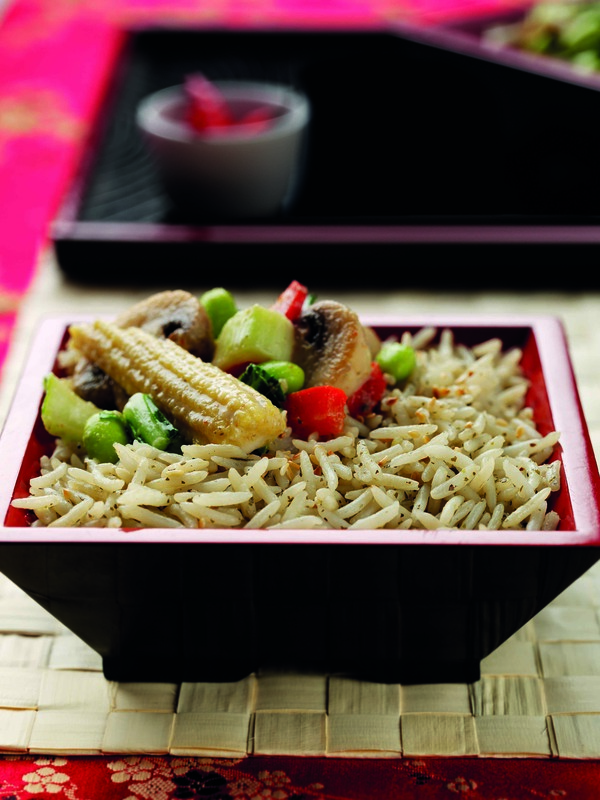 For a meat option, replace the mushrooms, soya beans and baby corn with 500g minced turkey. Trying this at home? Let us know how you get on! This entry was posted on April 12, 2012 by inspiredessex in Dine in Style and tagged Chelmsford Magazine, Inspired Essex Magazine, rice recipes, thai new year, thai recipes, tilda.